The Local Government Health Insurance Plan (LGHIP) is a self-insured group health insurance program funded from the members' premiums of the participating local government units. 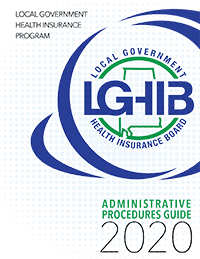 The LGHIP provides group health insurance for employees of municipalities, cities, counties, and quasi-governmental agencies. 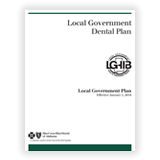 The LGHIP Handbook provides a summary of all relevant information regarding the LGHIP. See Handbook for more topics. 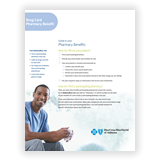 To order a new Blue Cross Blue Shield book, call Blue Cross at 1-800-321-4391. 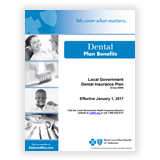 The Summary of Benefits and Coverage (SBC) is a short summary of coverage designed by the Department of Health and Human Services. 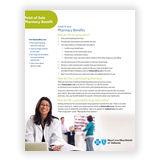 The SBC provides a snapshot of coverage but does not contain all benefits, limits and exclusions provided to you. 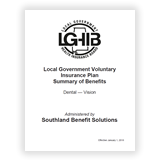 The SBC does not replace the more detailed summary of benefits found in the plan benefit matrix or a plan benefit booklet provided to you by the LGHIB. 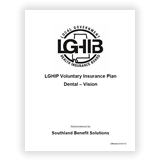 For detailed plan benefits please view our handbook listed above. 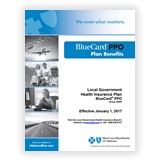 To view the plan's SBC click here .